Two generations of Australians, Generations X and Y, say climate change is their number one cause for concern, according to the latest Life Patterns reportfrom University of Melbourne researchers. Contrary to stereotypes of young generations of Australians being narcissistic or complacent, researchers say both cohorts are united in concerns about the future of our environment. 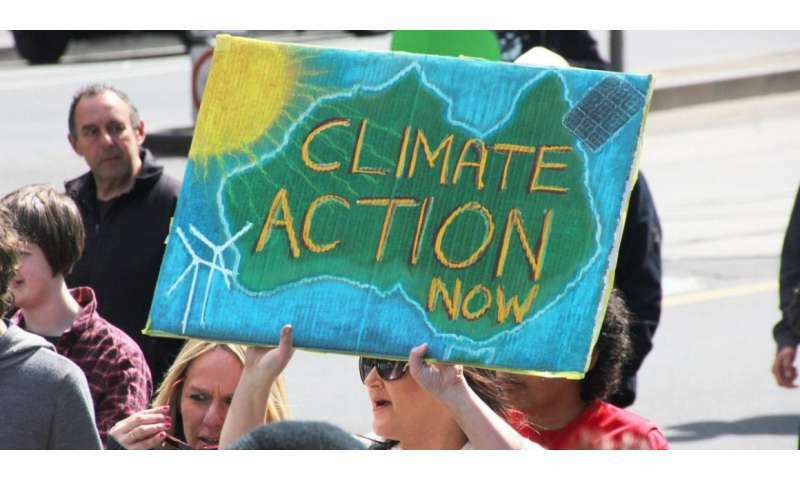 Generation X worries what climate change will mean for their own children, while Generation Y is concerned about the impact on future generations, the study by Dr. Jenny Chesters, Dr. Julia Cook, Associate Professor Hernan Cuervoand Professor Johanna Wynshows. The Life Patterns longitudinal study by researchers at the Youth Research Centre, Melbourne Graduate School of Educationhas followed both generations of Australians since they left secondary school, tracking their experiences in education, the job market, family and personal relationships as well as their attitudes to life, concerns, health and wellbeing. Cohort 1 left high school in 1991 and Cohort 2 left high school in 2006. "In 2017, we asked participants to nominate the three most important issues facing Australia," said Julia Cook, Research Fellow at the MGSE Youth Research Centre. "One major issue unites both generations: concerns about the environment and climate change. Other areas of concern tended to reflect people's life stage," Dr. Cook said. For Generation X, the next major concerns were cost of living, security and terrorism, education and the economy. For Generation Y, the other important issues were lack of jobs/job security, drug abuse, housing affordability and health. "While specific views of what needs to be done about the problem varied, both groups consistently expressed grave concerns about the general lack of action towards climate change mitigation from the current government," Dr. Cook said. More detailed analysis showed that in the older cohort, women were nearly twice as likely as men to hold this concern for the environment, while in the younger group, men were more likely than women to be concerned about the environment. One mother living in a country town, told researchers "we're not going to have air to breathe soon", while a father living in a rural area, noted "climate change could ruin their [his children's] lives and our governments are not acting". Dr. Cook said for both generations, concerns about the environment stem from an apparent mistrust of governments to address climate change. "This sentiment was echoed in comments on other issues, indicating they believe governments are not adequately addressing everyday issues such as the cost of living, education, job security and housing affordability."